"We welcome people of all ages and abilities. 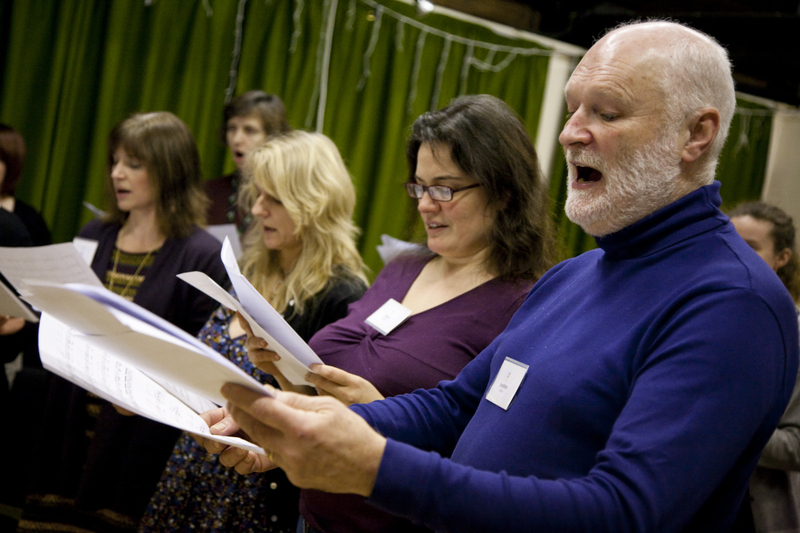 Even if you haven’t sung before, we believe that with the right support, everyone can gain the skills and confidence to sing and perform, and our dedicated, experienced team are here to help you. A lot of people think that singing is something you either can or can’t do. No-one nowadays would say that about running. We now know that anyone can run a marathon, all you’ve got to do is put in the training. So we train people, help them gain confidence in their own abilities, and discover talents they didn’t even know they had." Opportunities to get involved are always shared on our website and posted on Facebook. You can also join our mailing list to receive updates.